If the plan of Ukraine's destabilization fails, Russia can use the army. 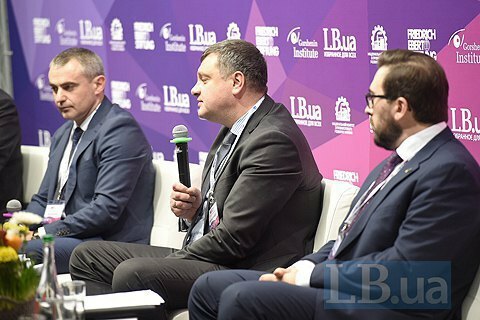 The risk of a large-scale offensive from Russia still exists, Deputy Secretary of the National Security and Defence Council Oleksandr Lytvynenko said on 27 November at the VIII National Expert Forum, organized by Gorshenin Institute. "Despite the enormous success of our armed forces, the National Guard and the Security Service in deterring Russian aggression, a large-scale operation of the Russian is still a possibility. Should Russia's destabilization campaign fail, they can return to large-scale armed aggression," the official said. Lytvynenko stated that two Russian armies (8th and 20th) had been deployed at the borders of Ukraine, three new divisions (150th, 3rd, 144th) had been set up, and another is being created in the Caucasus, while the air forces of the South and the Western military districts are in process of rearmament with new aircraft. Also a military grouping is being deployed in Crimea, NSDC deputy secretary said.